frog cottage designs: I finished!!! 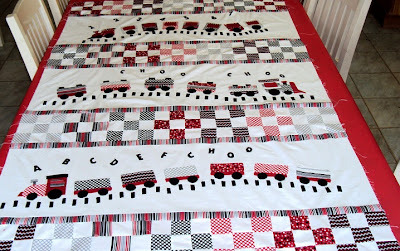 I worked all day and tar dar Im finished my train quilt top. 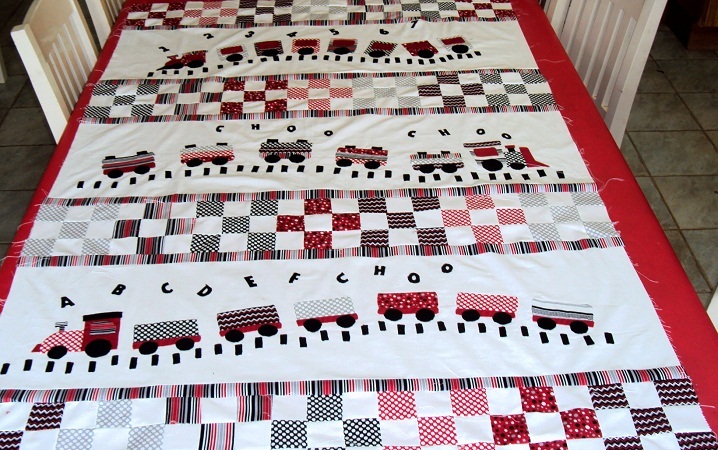 I have named it Alphabet Train. It still needs borders, but Im happy to do that tomorrow. 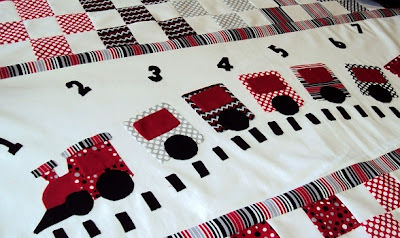 This quilt will also have a matching pillow, still to be made but IM sure I will get it done in no time!!!! It feels sooo good to finally finish something as I usually have lots of things happening at once. Oh Deb it looks so good!!!! !